1. Download Wget for PC here and grab a copy of AutoHotKey here. Install both. 2. Open AutoHotkey, (it's located wherever you downloaded it). When it asks you if you want to generate a example script, click "Yes". 4. The "HOTKEYS" is where you define the keyboard shortcut. For example, you could put #G (Windows key and "G" key) See the AutoHotkey documentation for more info. When it returns the path, copy and paste the path and replace the WGET_EXE section. The above code will play/pause Grooveshark when ALT + SHIFT + Z is pressed. 6. Repeat steps 3-5 to add another hot key. See the below commands to change the hot key command. You are done!! 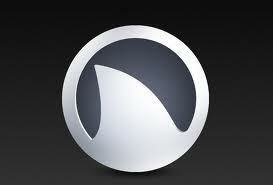 Have fun using your Grooveshark player and thanks for following this tutorial. Please follow my blog if you liked this tutorial.